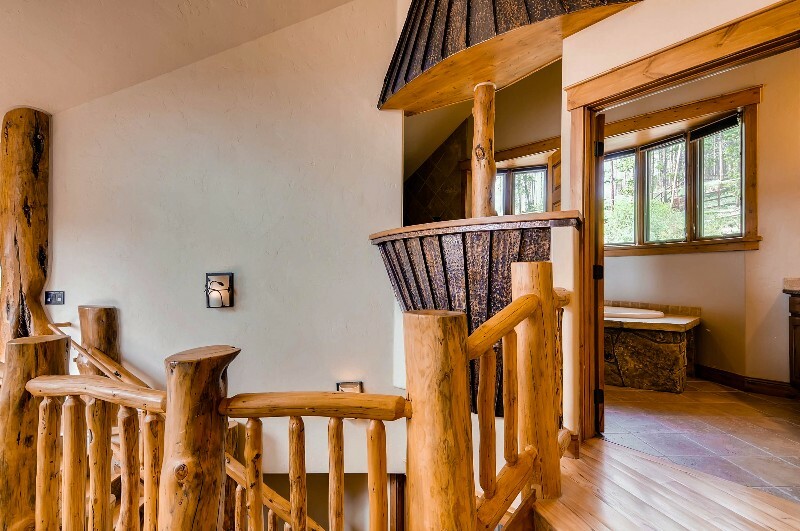 Spread out over five levels, Alpine Majesty provides visitors with an opulent retreat that’s just a 10-minute drive from town. 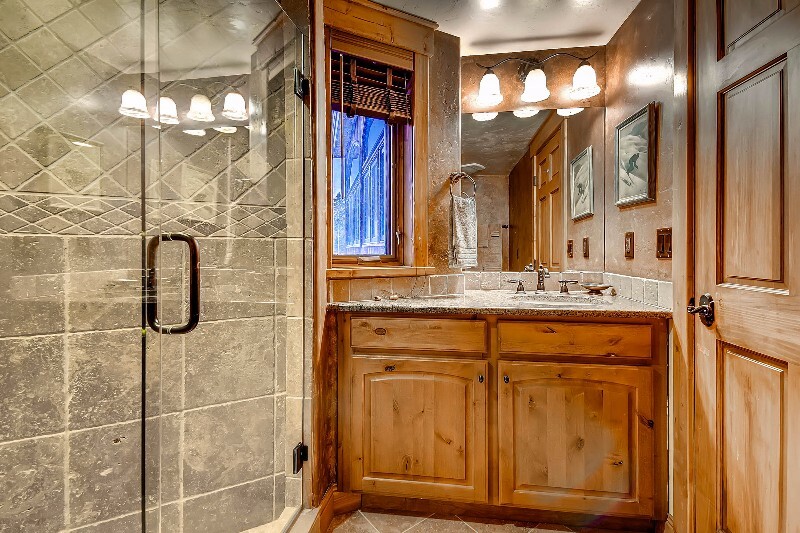 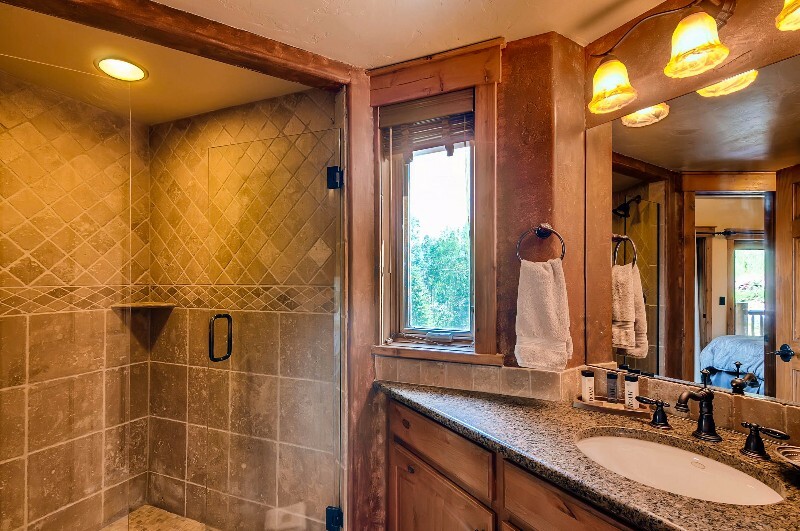 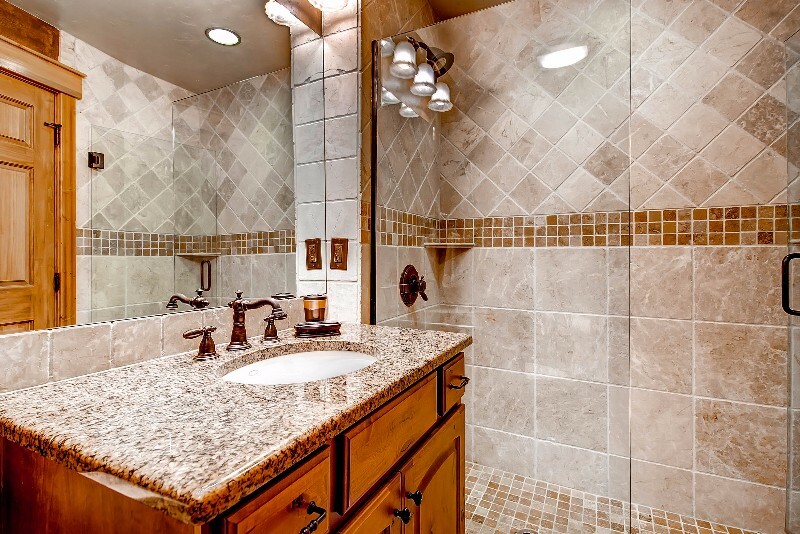 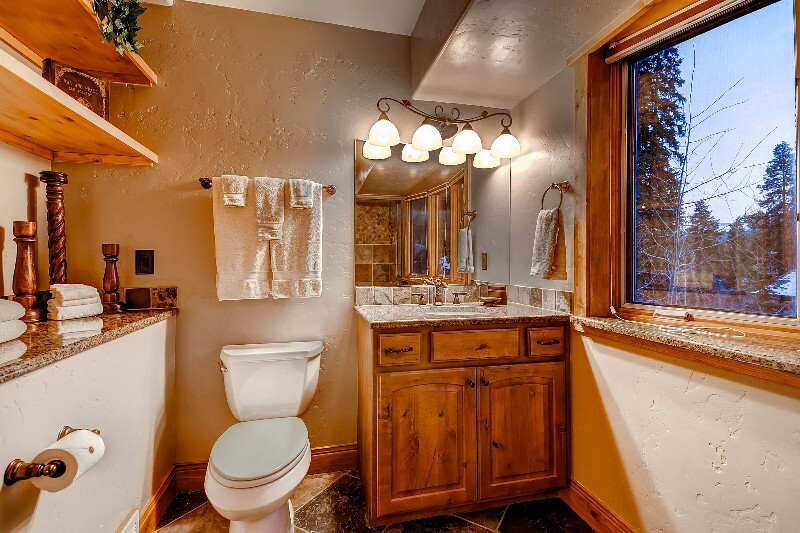 It’s been outfitted with only the finest finishes and furnishings. 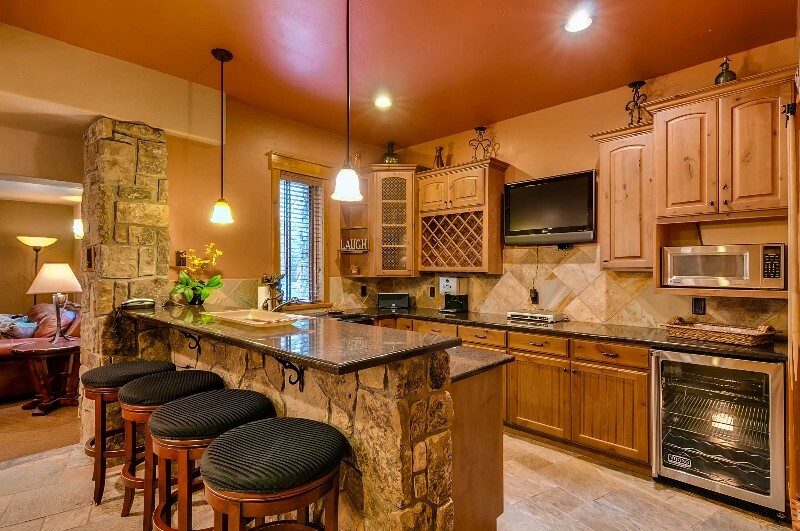 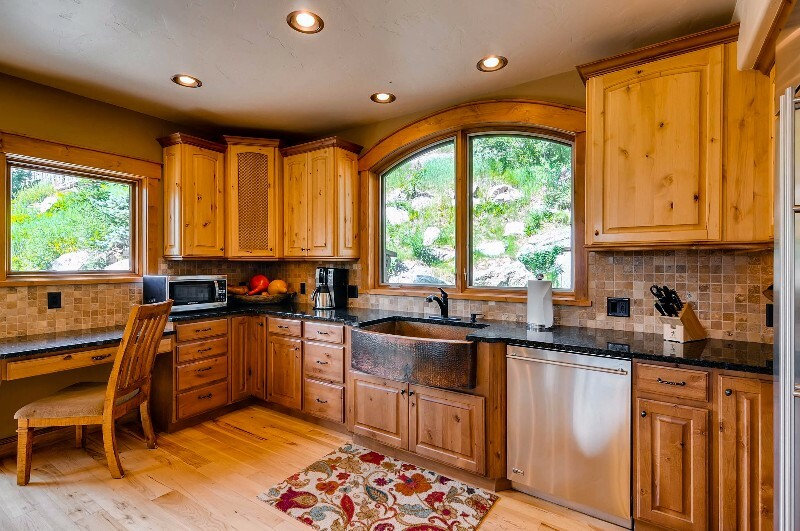 The gourmet, fully equipped kitchen boasts Viking and GE Monogram appliances. 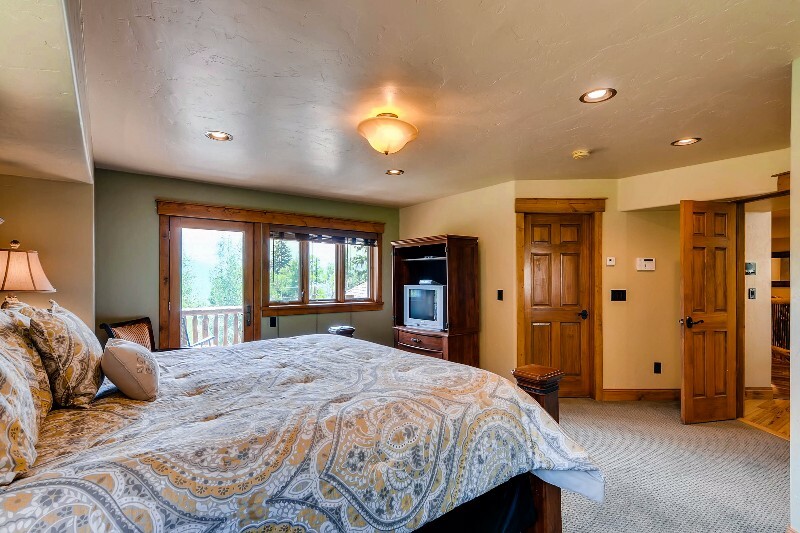 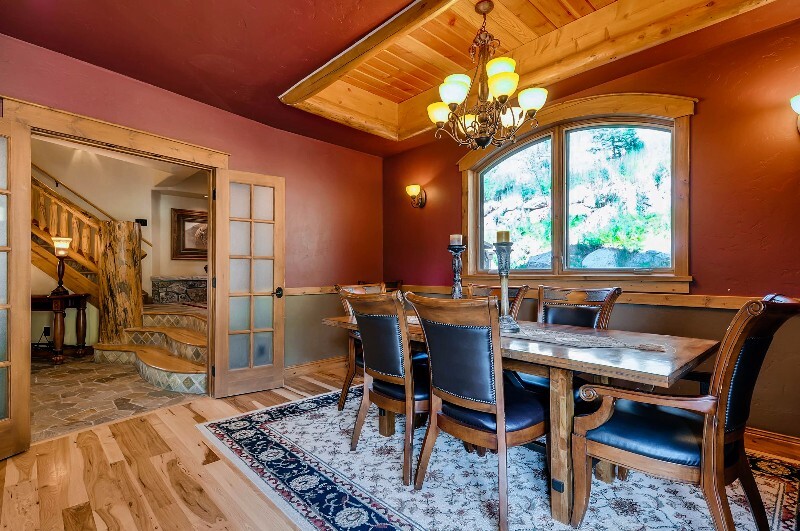 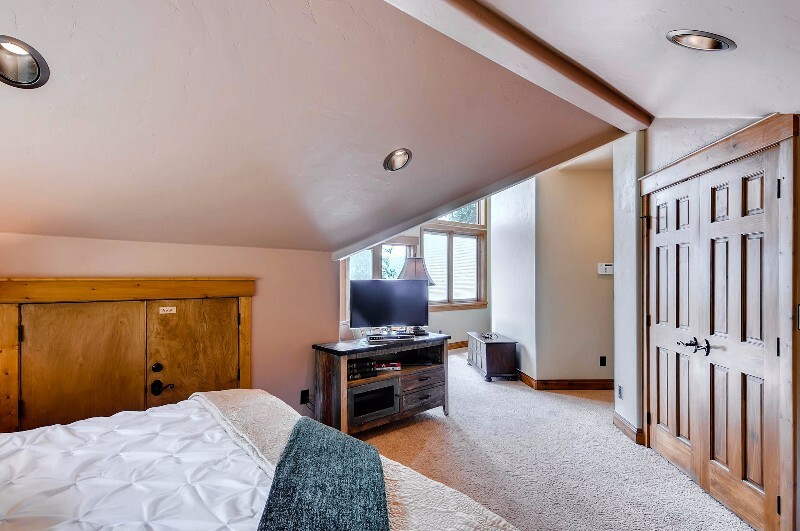 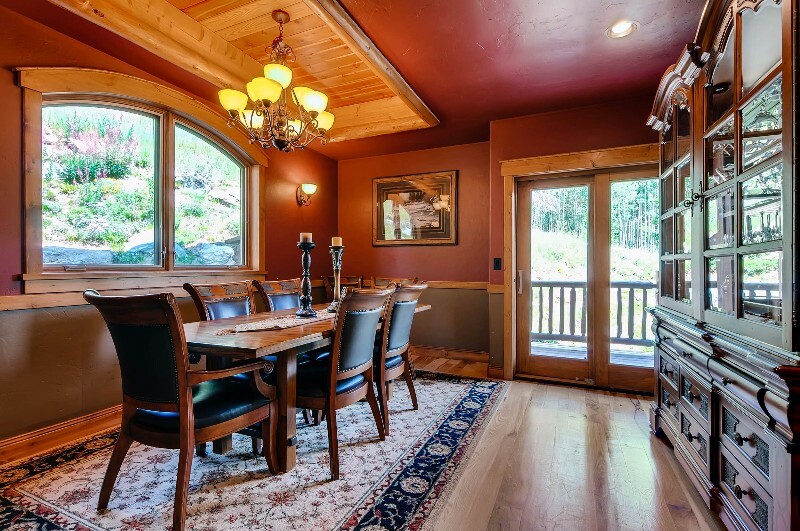 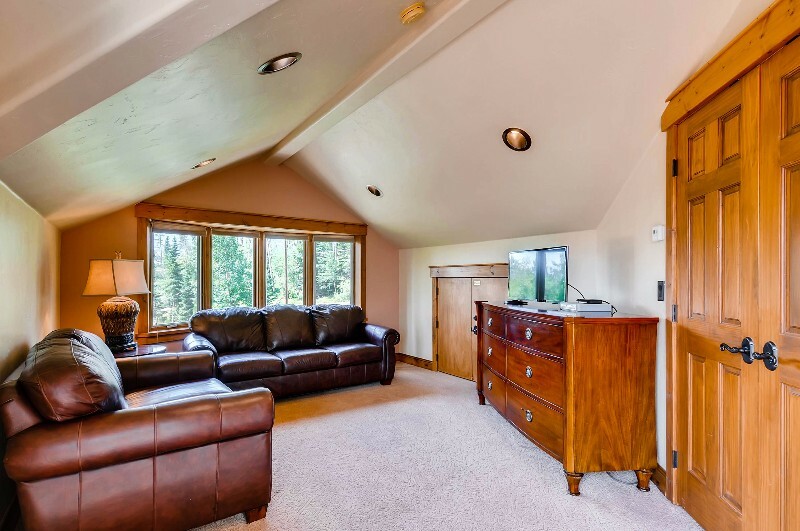 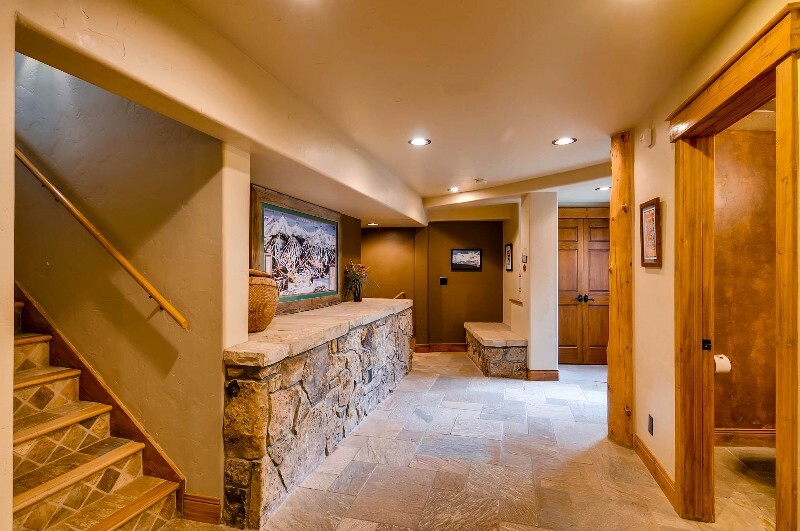 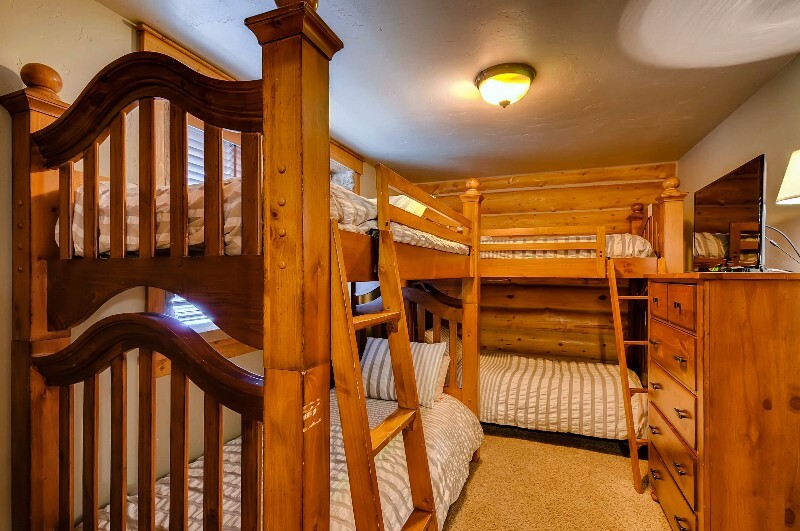 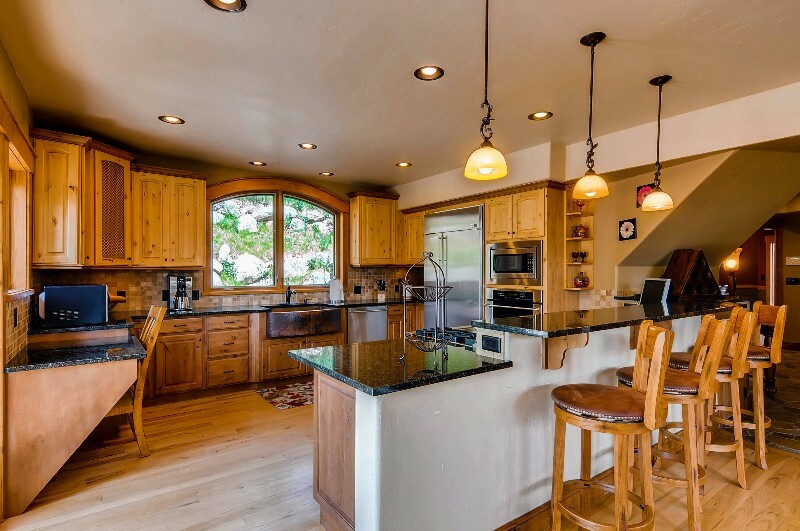 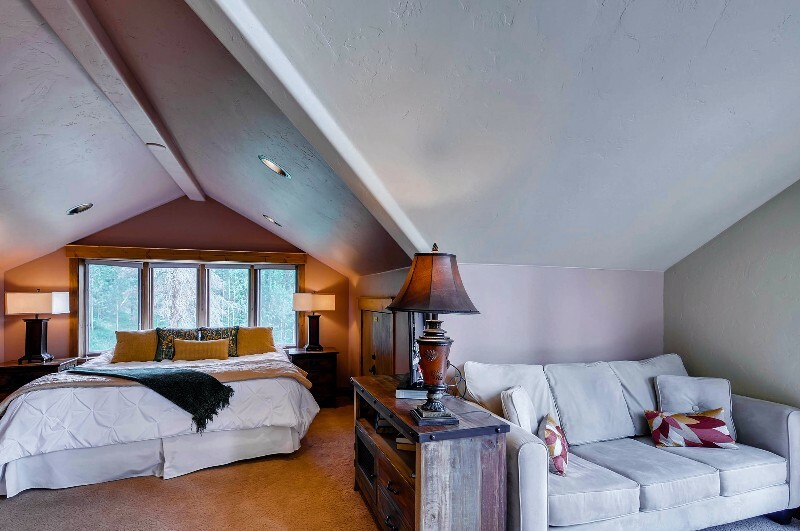 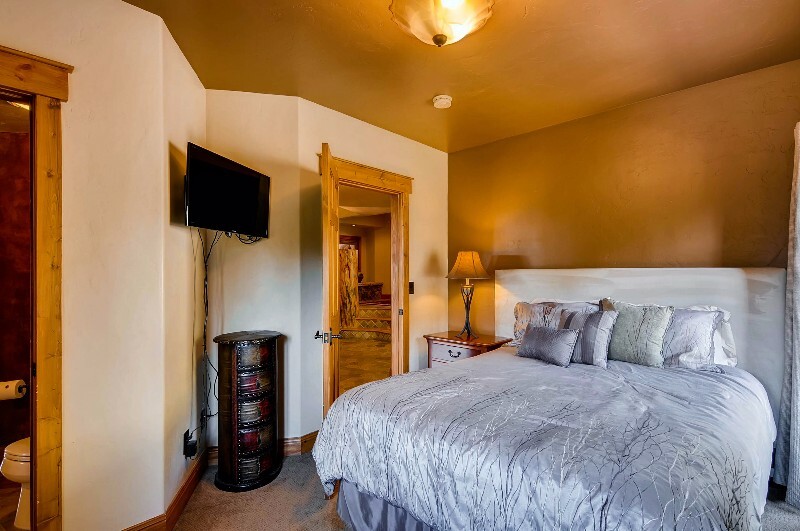 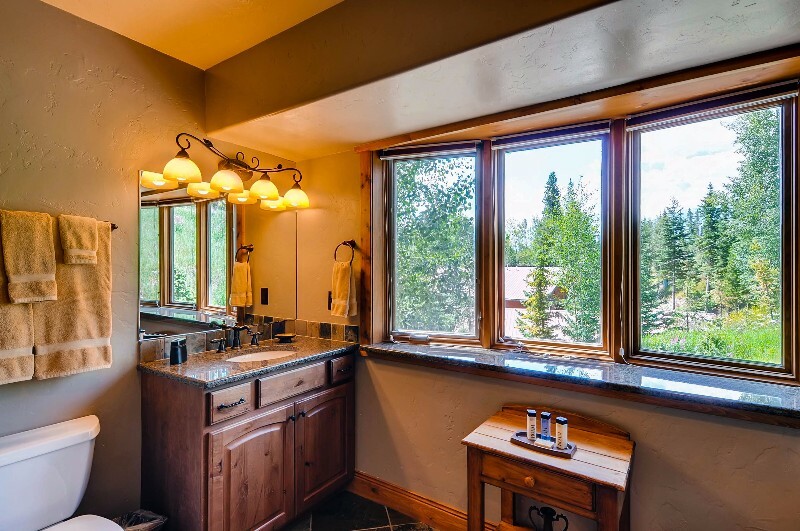 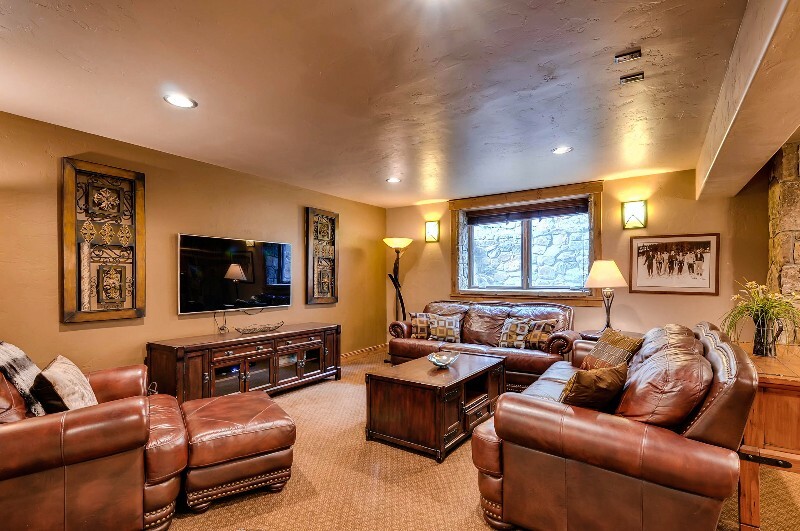 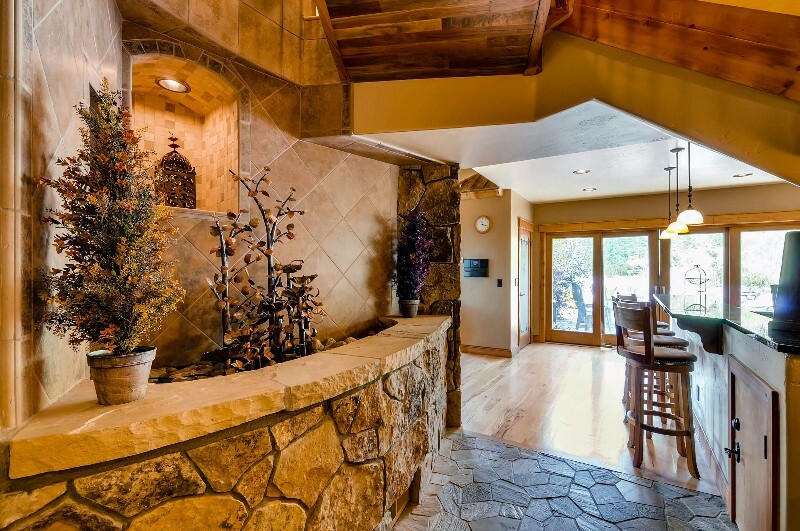 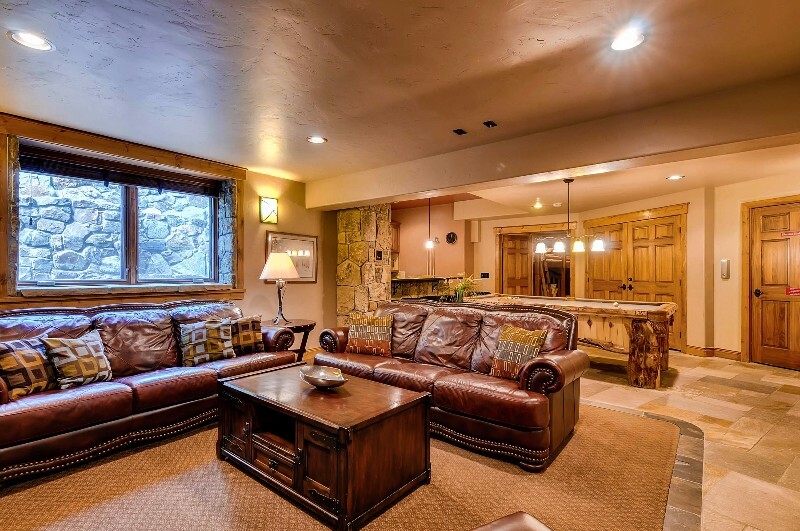 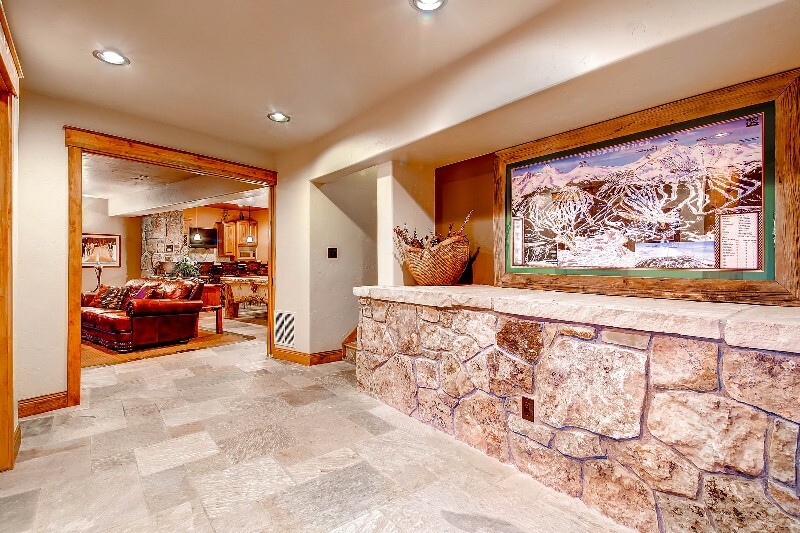 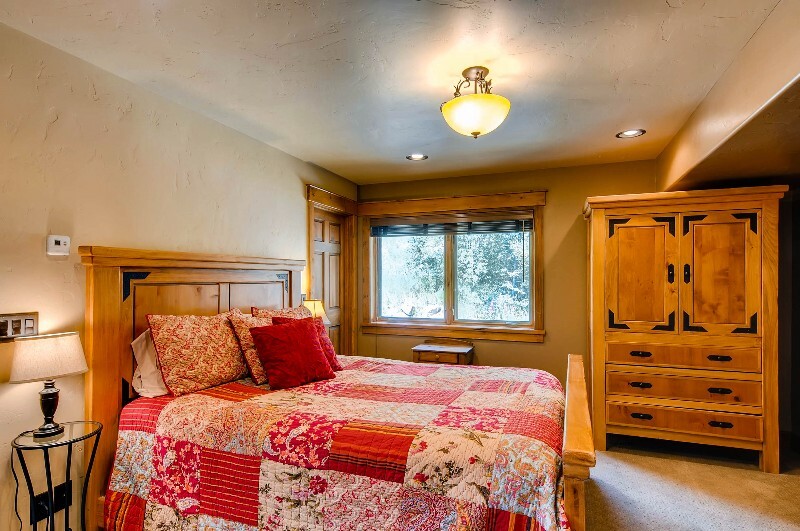 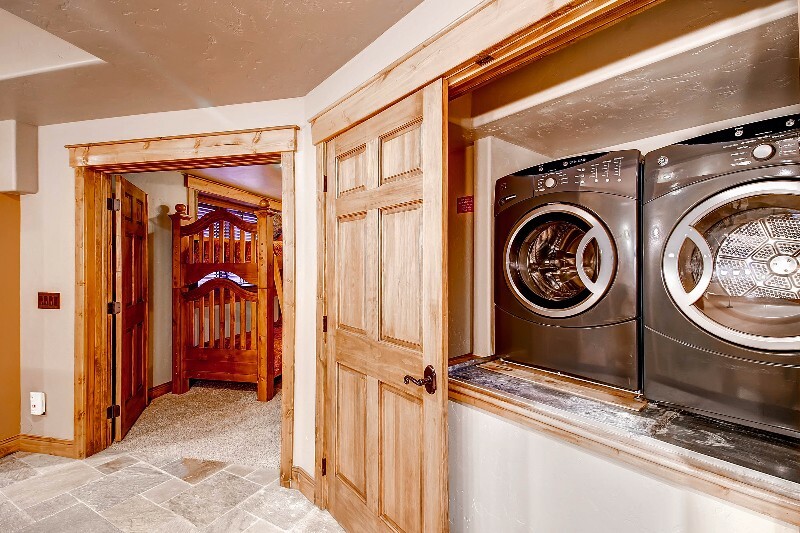 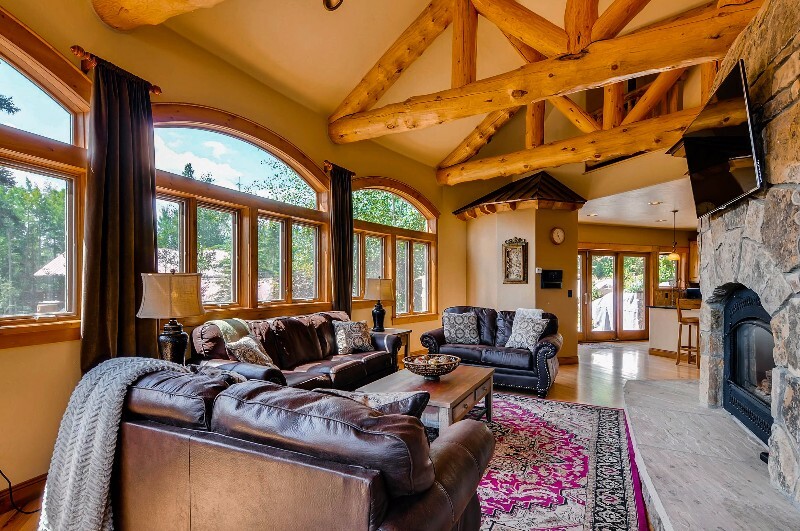 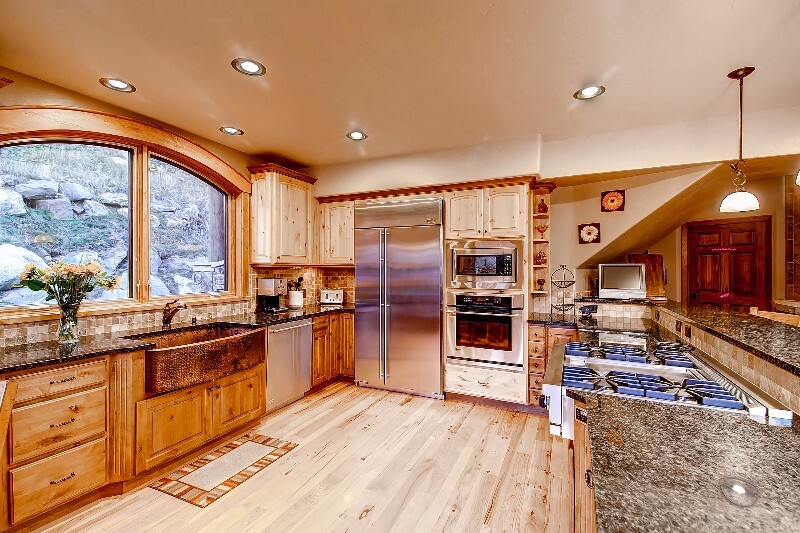 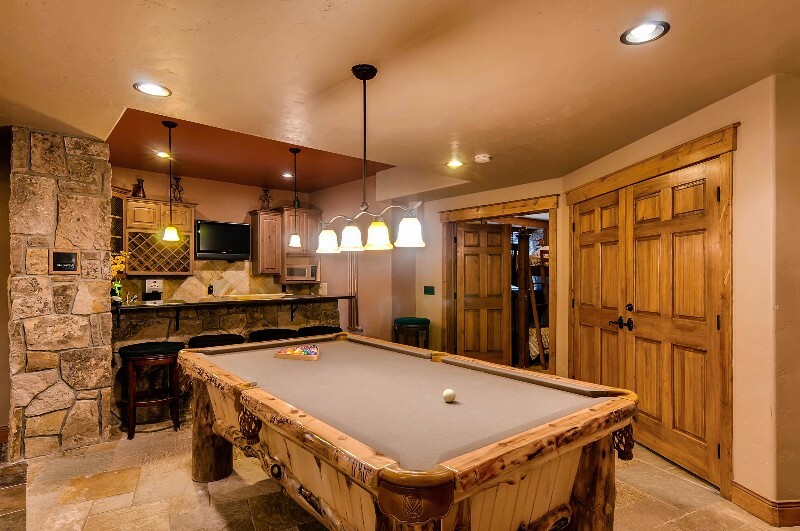 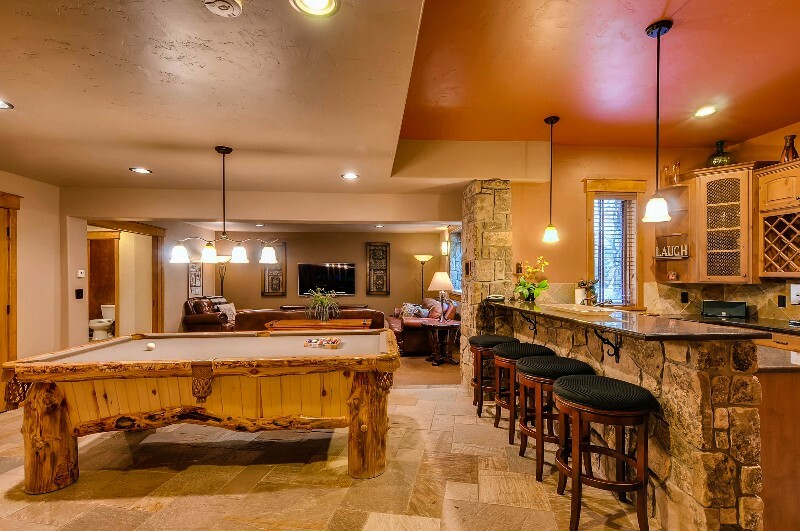 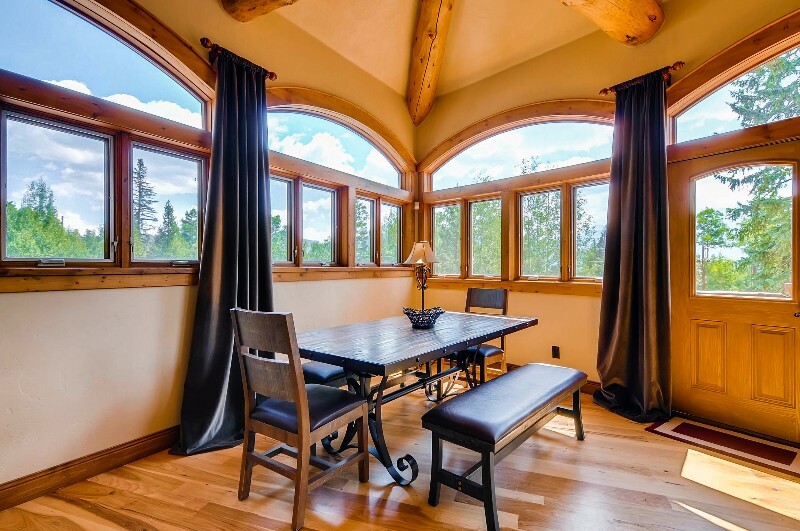 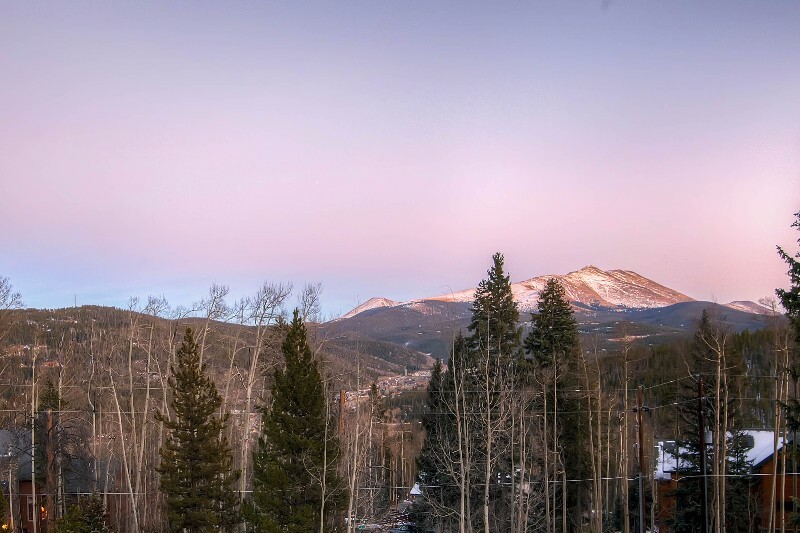 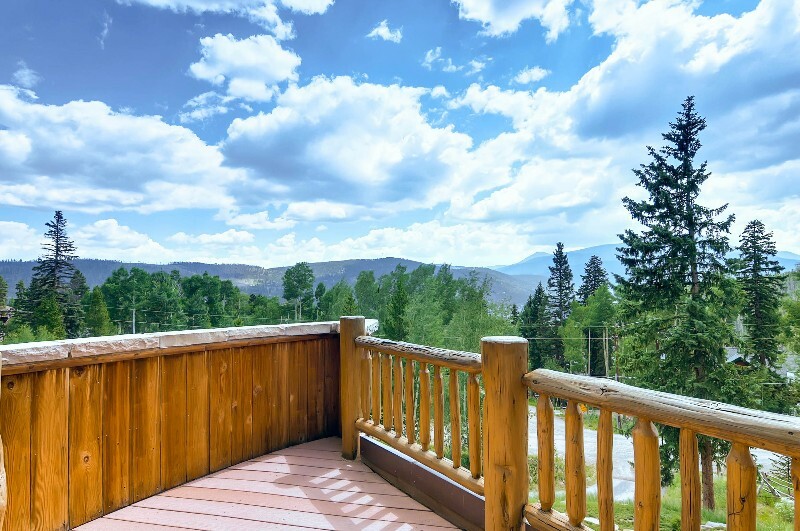 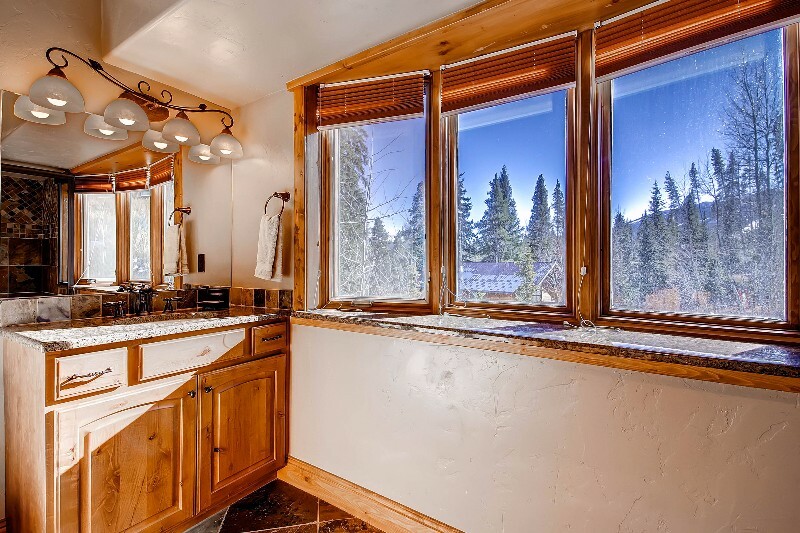 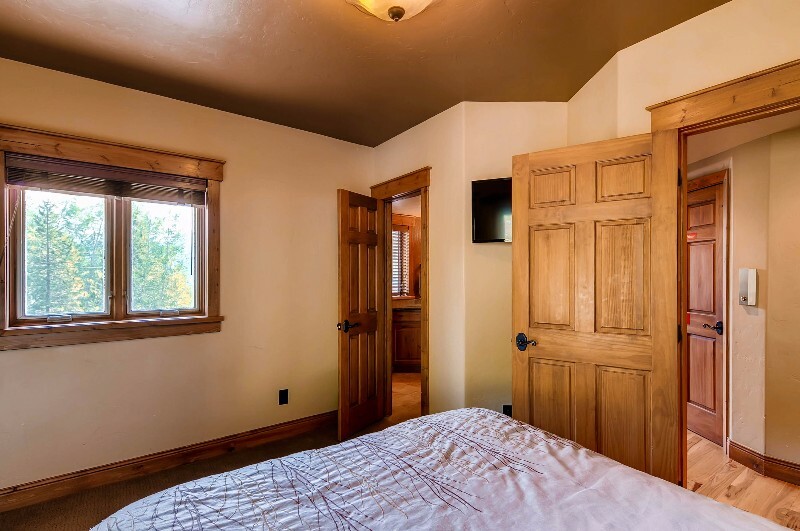 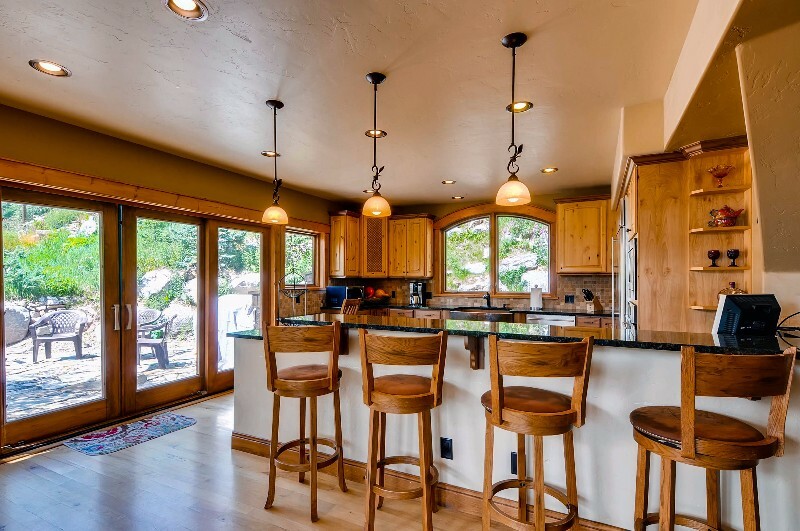 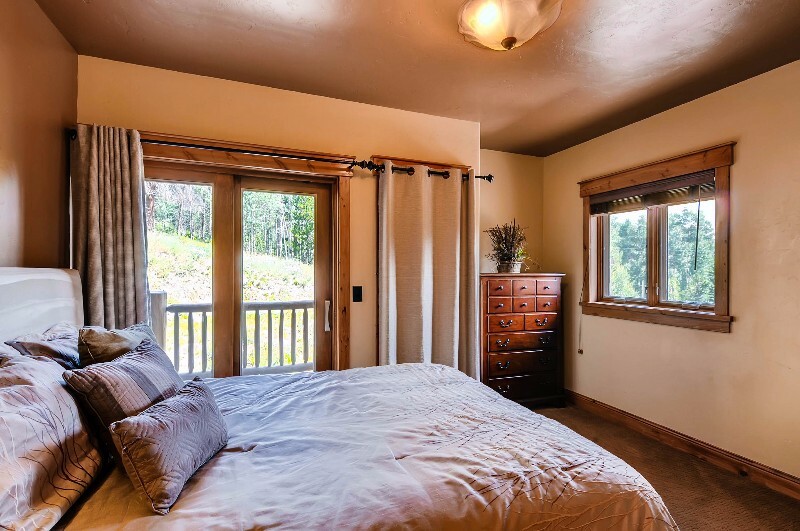 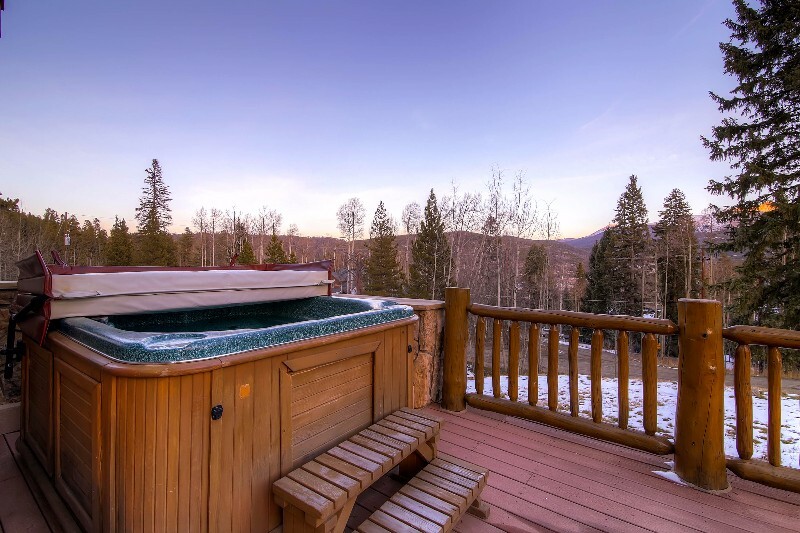 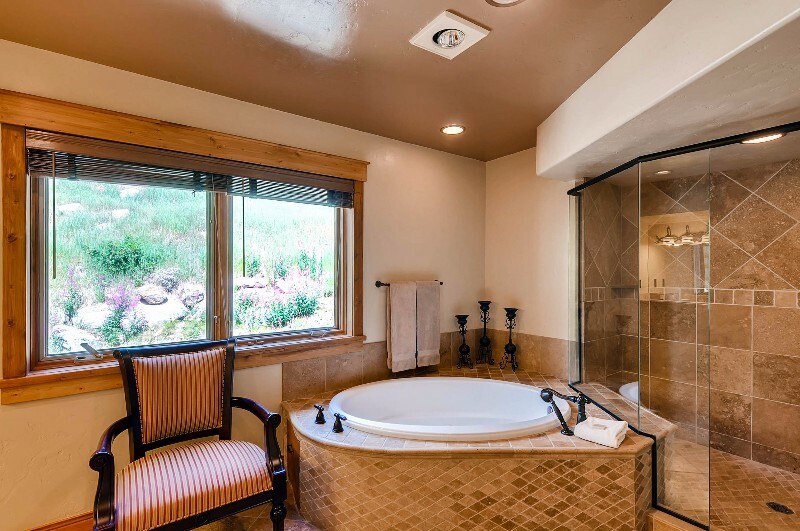 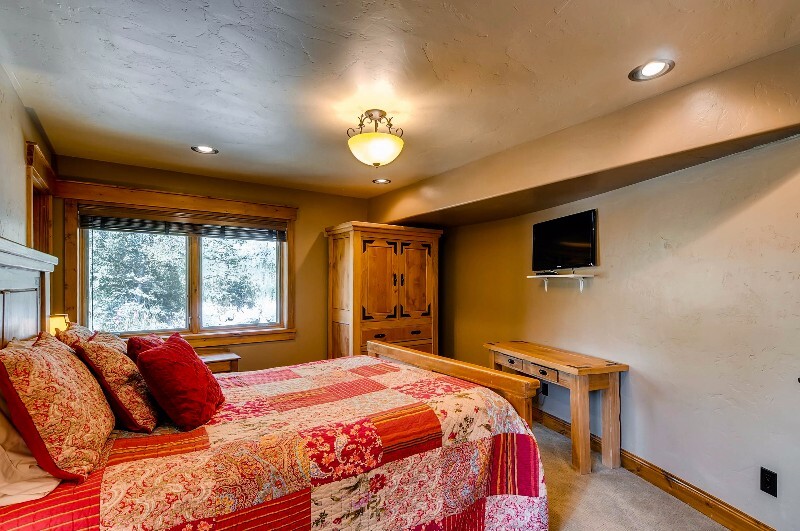 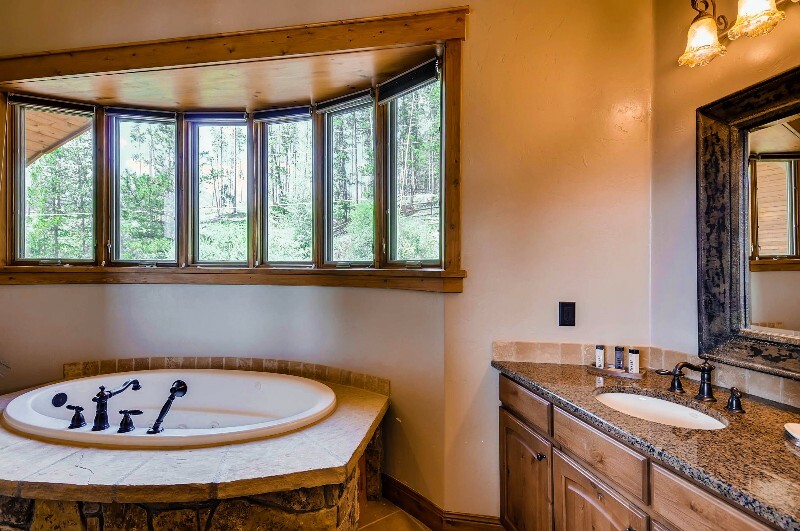 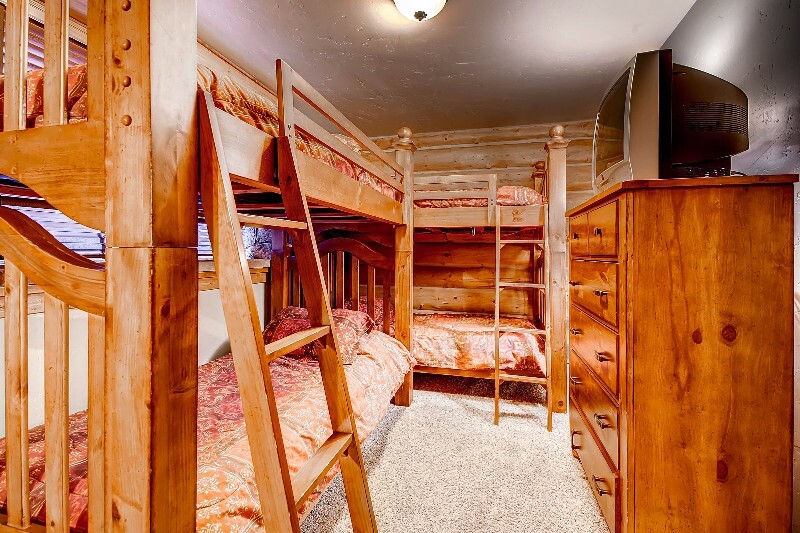 In the rec room, you’ll find an aspen wood pool table, a large flat screen TV, and a wet bar that’s complete with a refrigerator, microwave, and wine cooler. 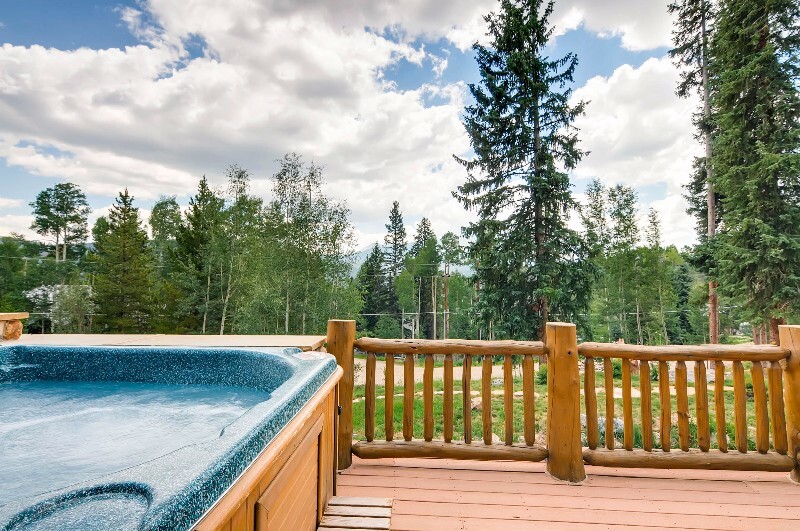 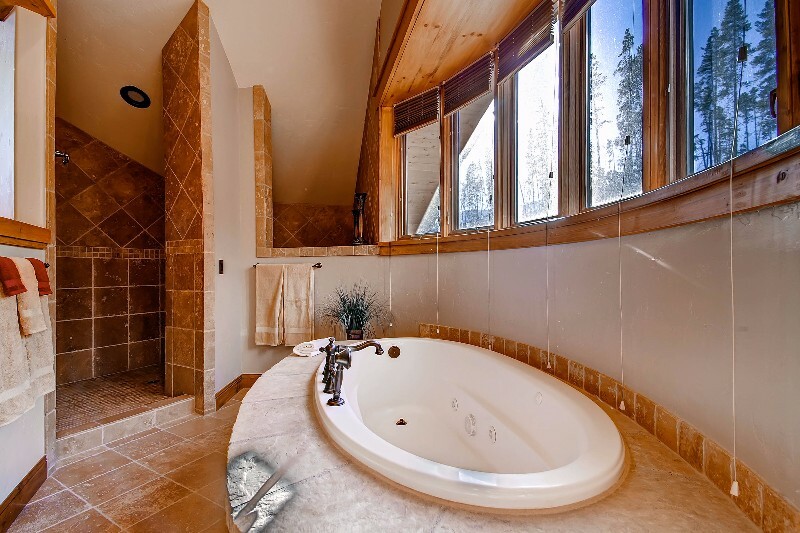 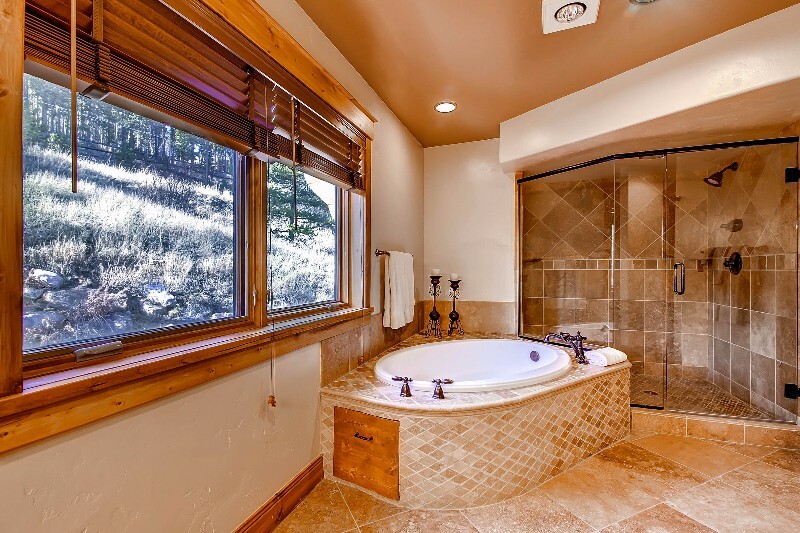 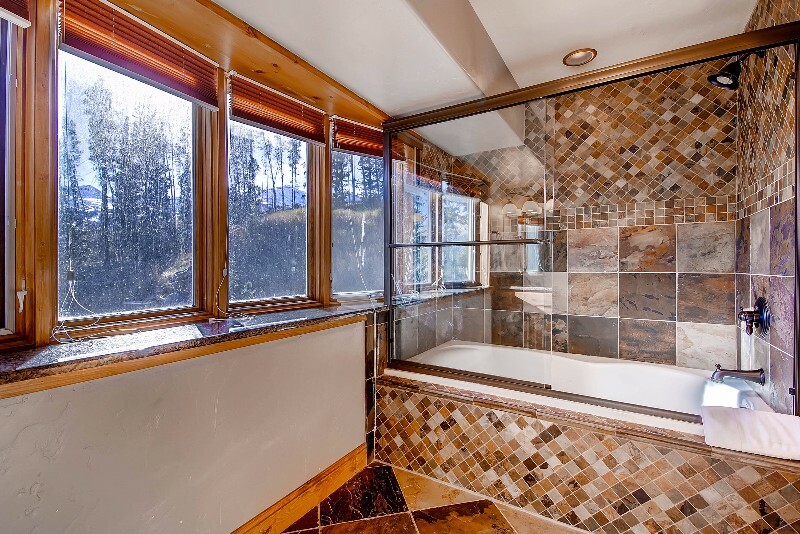 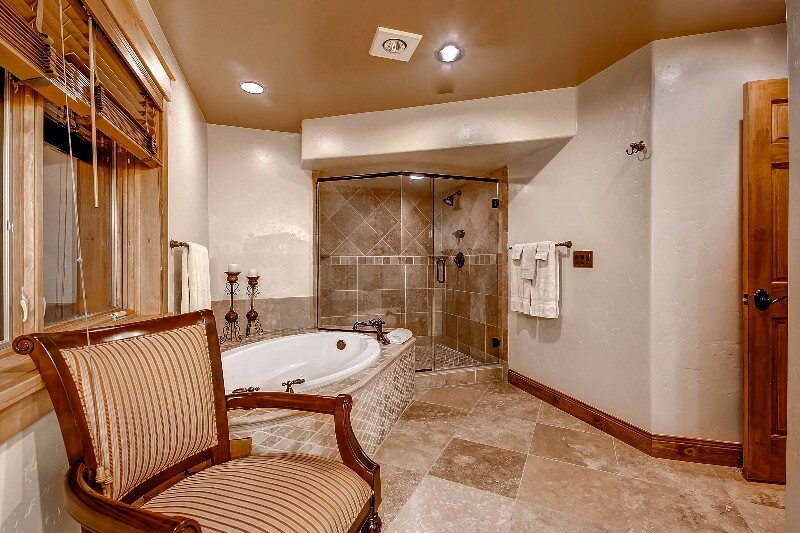 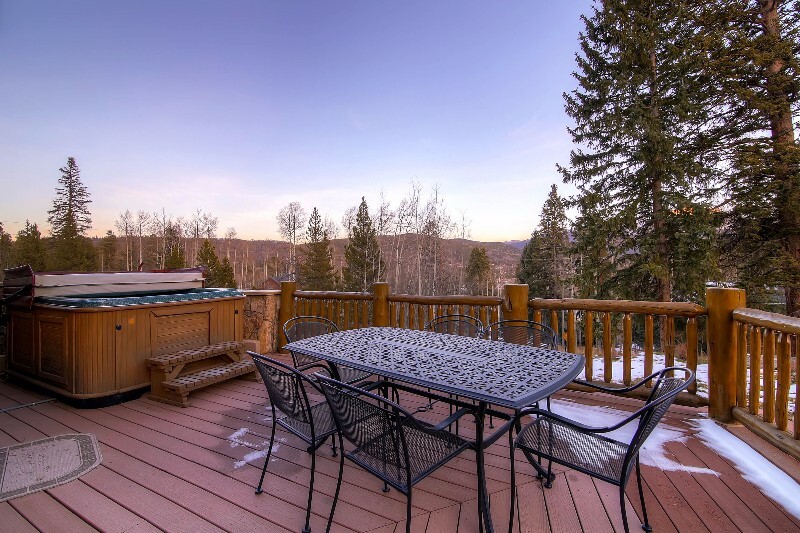 There’s a private hot tub with mountain views on the deck off the great room. 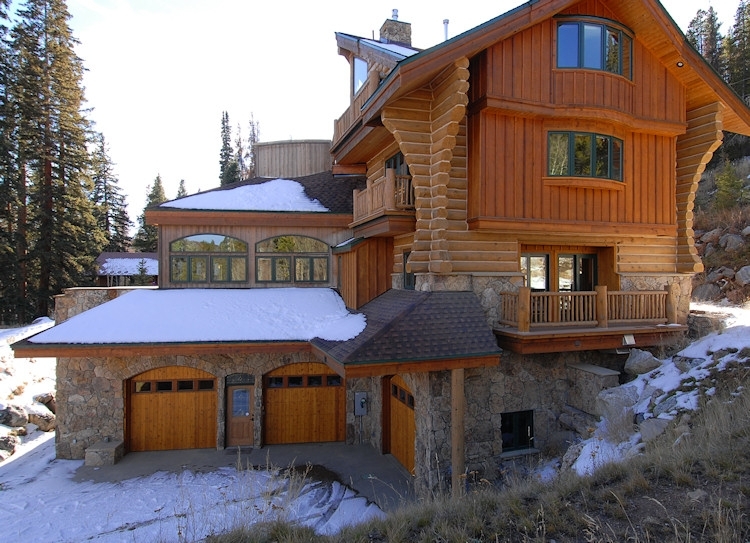 The home also features three heated garages and a heated driveway pad. 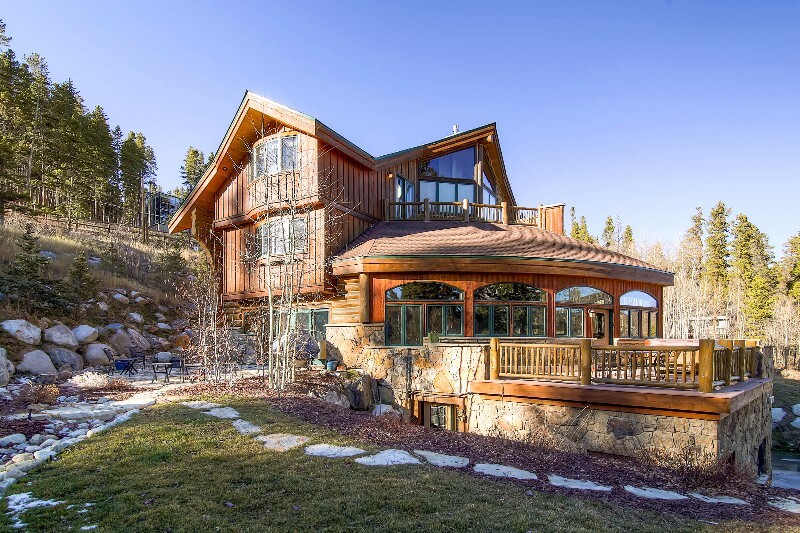 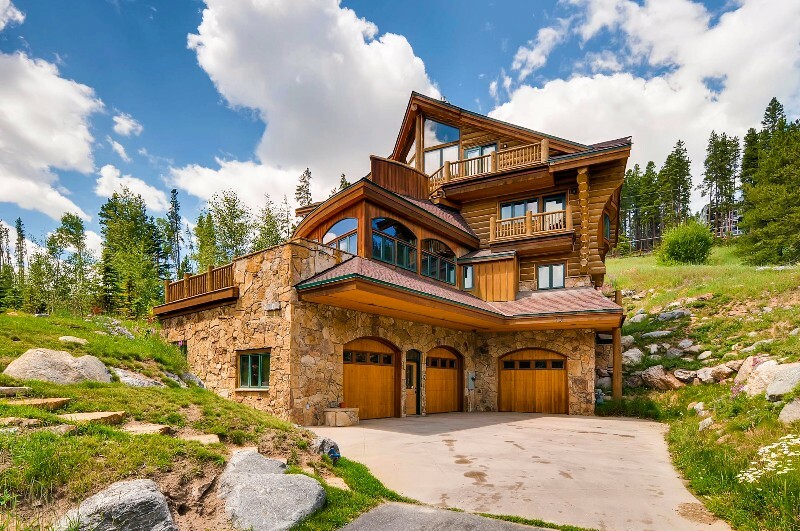 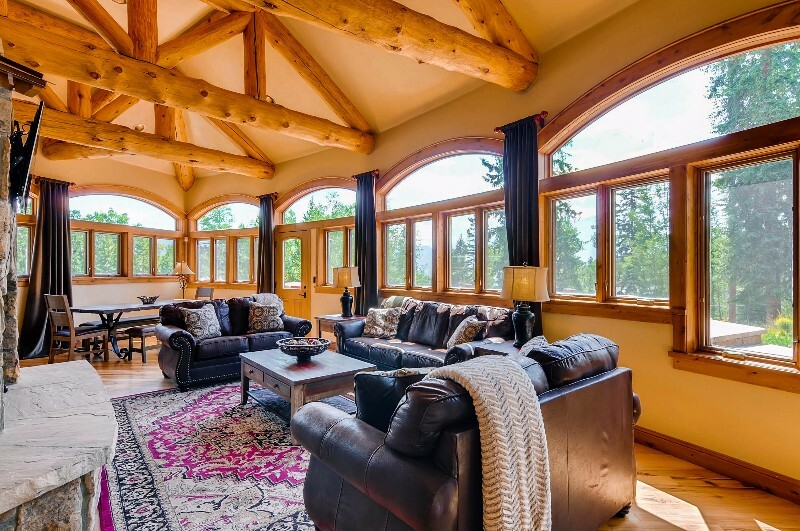 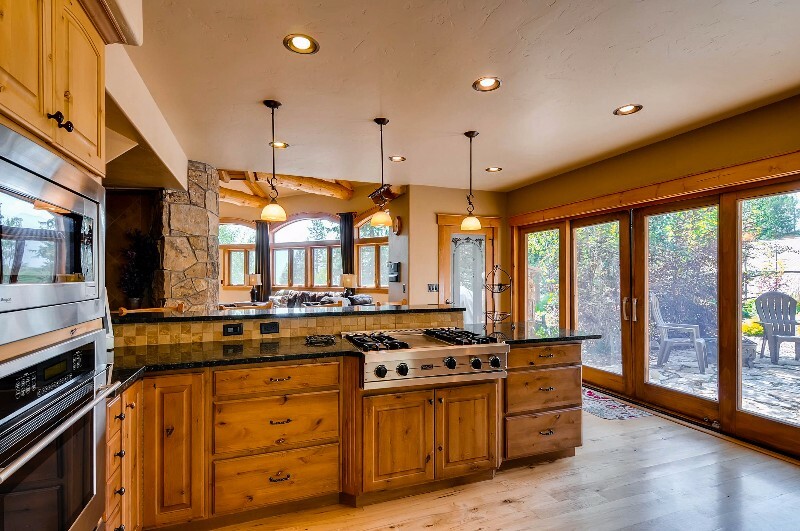 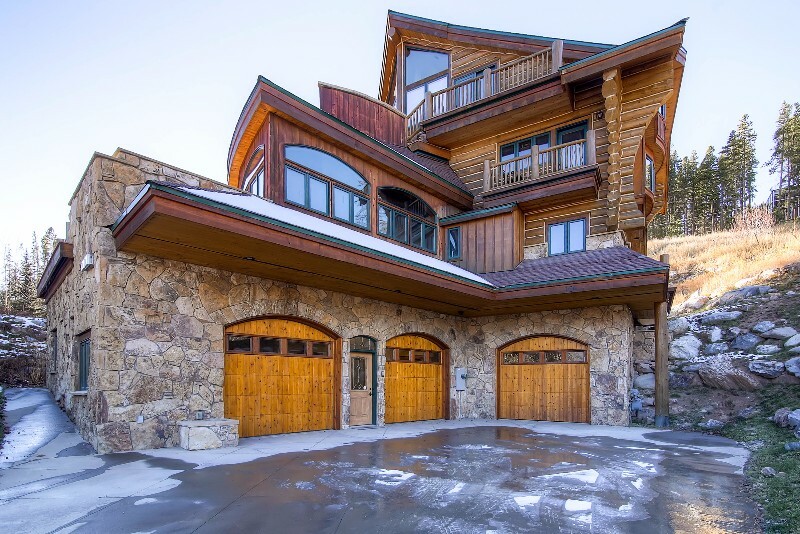 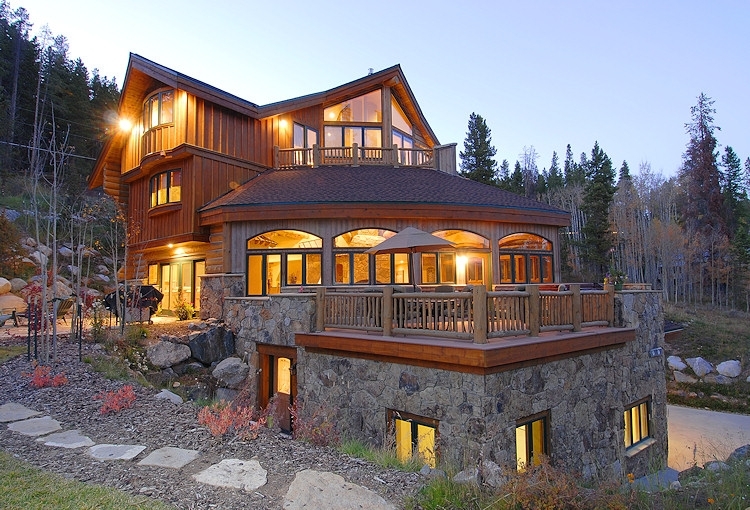 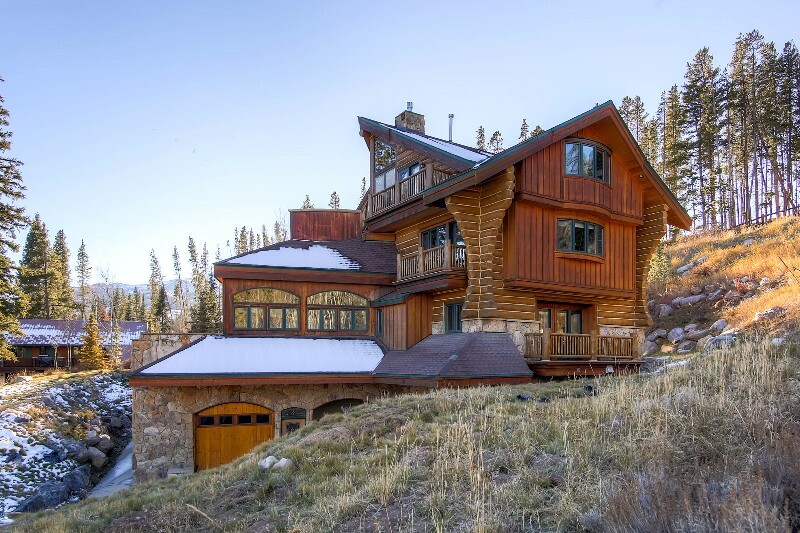 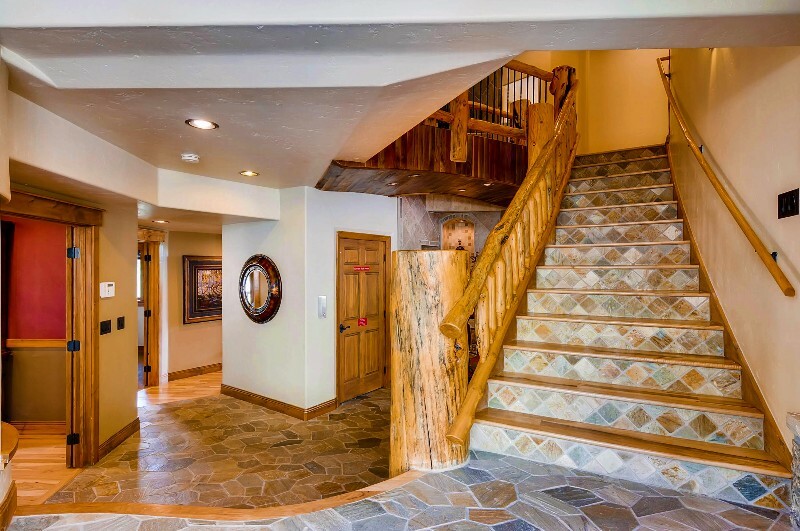 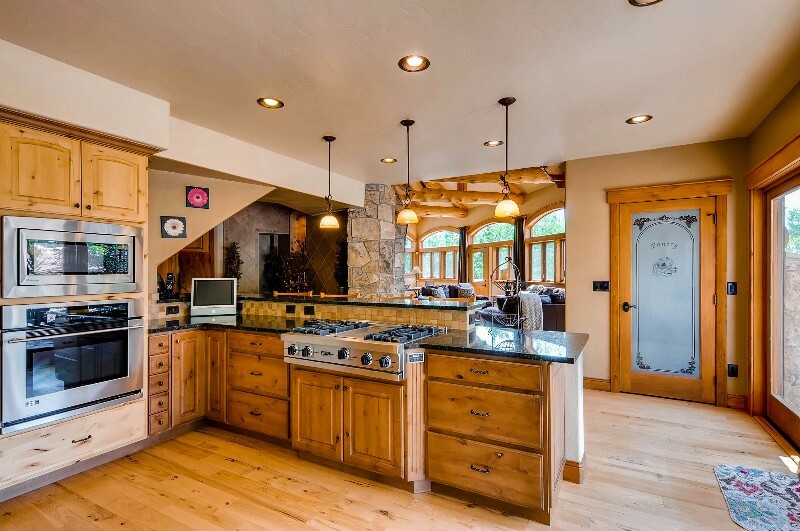 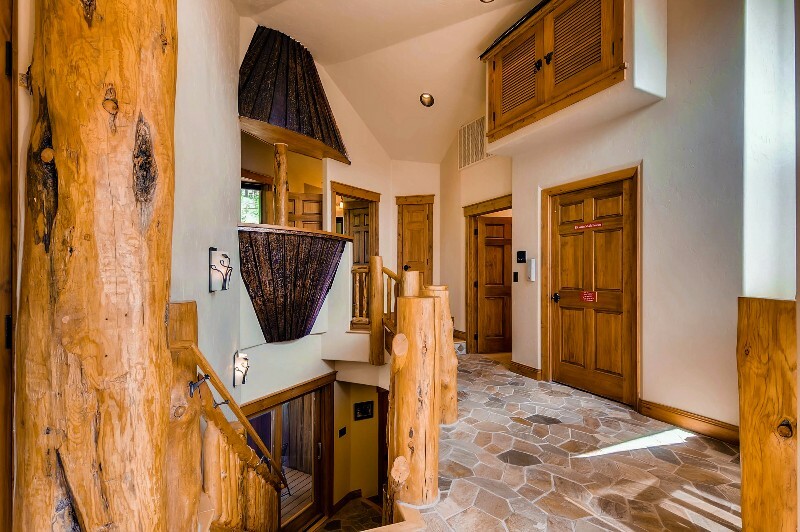 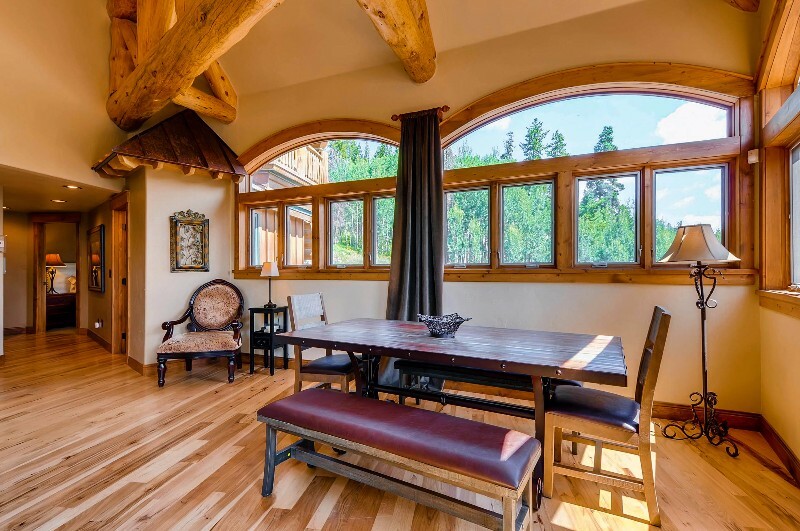 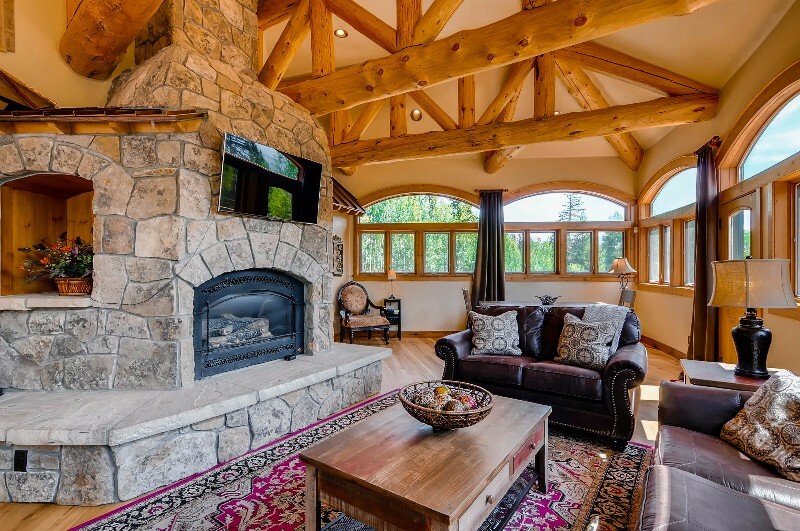 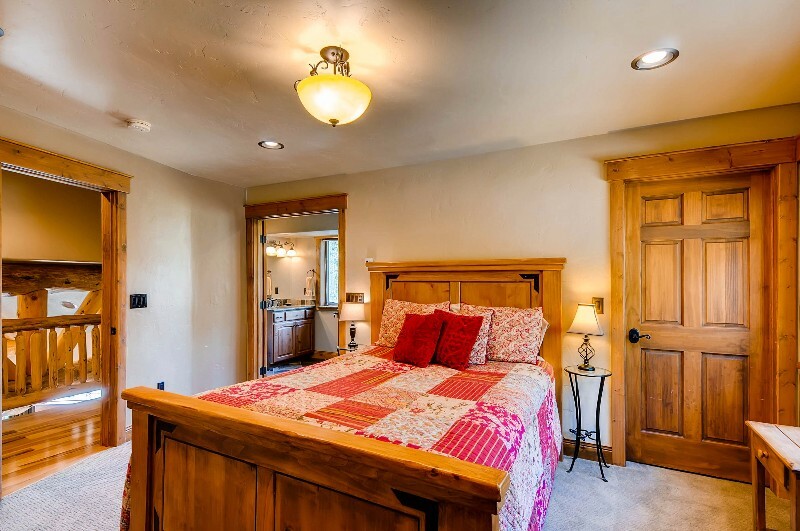 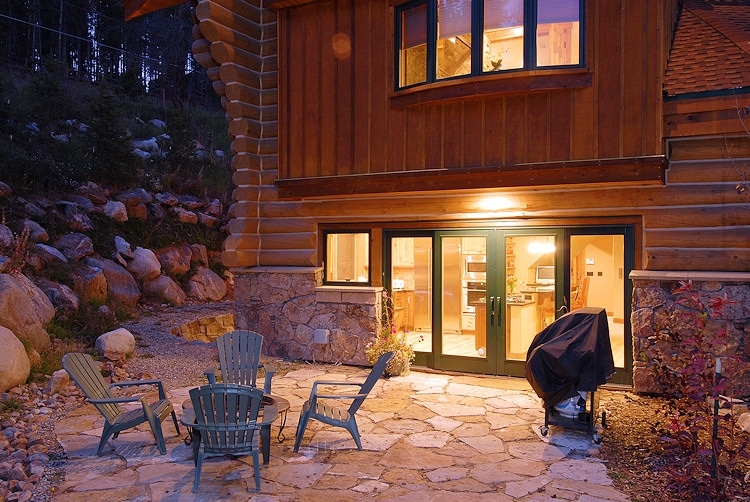 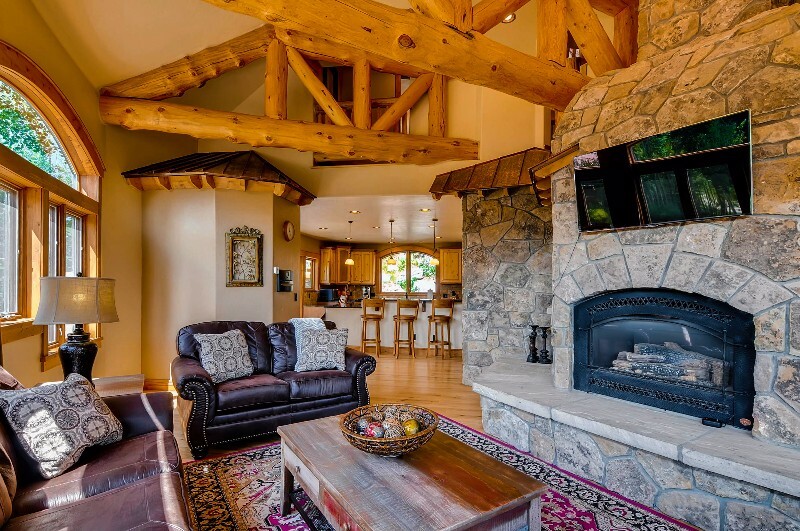 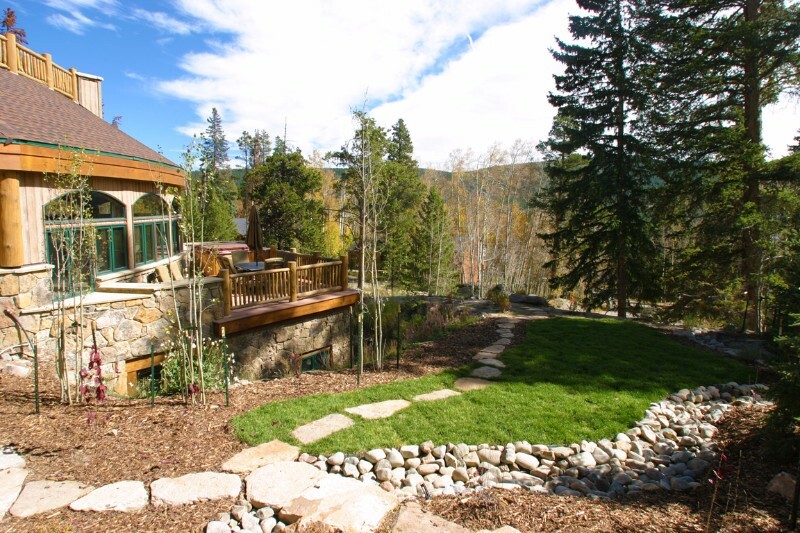 Perfect for winter and summer vacations alike, you’re sure to enjoy an amazing mountain vacation when you stay in this magnificent home. 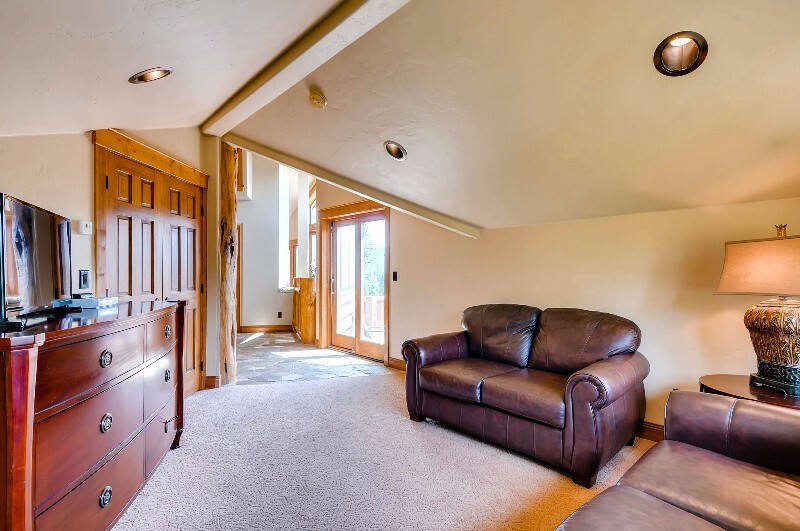 Dog-friendly with prior approval – $150 non-refundable pet deposit and separate pet contract required.